If you want to learn the internal structure of the HP Slate 21 (or any other Android based tablet, for that matter), you'll need to learn about something which might be familiar to you from the PC disks - Disk partitions. 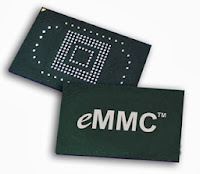 Although the Slate doesn't have any physical disk, it has a flash chip which is called eMMC. This is basically a chip which stores everything you have on your device, whether it's the OS, your content and any other thing you download. eMMC is divided to many partitions. Some partitions can be erased (to clean up your data and restore the machine to a "brand new" state, also called "factory reset"), and some partitions needs a very special attention, or else your device will just freeze when you power it on. The first part (where it mentioned /recovery, /boot etc..) is the mounting point, where the OS can access the files. The 3rd part tells the system which block number holds the partition. Tegra 3 and 4 is more convenient since it gives the developer more "human" readable names instead of cryptic name (which could confuse). Each name is a partition, so LNX for example represents the Linux bootloader. On Android, the partition layout is different on each mode it's booted. For example, if you'll open a terminal and try to do: cd /recovery, it will output an error, since there is no such mount point. The picture above is taken from another Tegra 4 based device. The partitions name's is always consistent, but the mount points (/data etc...) are different, depending on the device mode. When do we touch those partitions? when we want to fix or update some parts or the whole system. The HP updated image that download automatically to your device, has specific instructions which parts to update and what data to put in those partitions. Full backup of your entire Android device, including the OS, recovery, etc. Easy update to 3rd party firmwares (Like Cyanogenmod, which still is not available to Tegra-4 based devices) so you can continue to enjoy the latest Android features even if the hardware vendor no longer sells/supports/update your device. As you can see, the 3rd party recovery apps are much better then what the vendor gives to the user (the reason that the vendor don't give some improved recovery is to limit hacking of the device). Full backup and full restore, so you can restore your device in 2 minutes and enjoy it just as the last time you did a backup. Use other firmwares that developers will offer. Kit Kat for your Slate 21? it could be. After all, the Slate 21 is just another Tegra-4 based device. As you can see, there are few advantages of a rooted device. Your Slate 21 could be used more years and still have (thanks to developers) few more years of usage.